1. 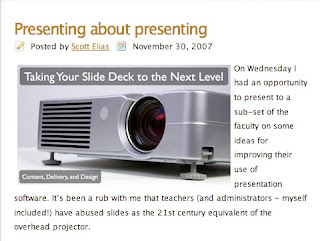 Taking Your Slideshow to the Next Level: Avoid Powerpointlessness! Scott Elias, the assistant principal for Loveland High School in Loveland, CO, has created an amazing slide show with audio that brilliantly explains and demonstrates how to use slideshow software effectively. The link above is to the slideshare Website. You can also read more about this on his blog. Thanks so much Scott for sharing this with us. 2. Give Credit Where Credit is Due: This Website was designed by David Warlick to make the process of citing sources more manageable. 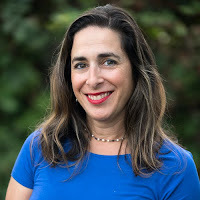 The Website supports MLA, APA, Chicago and Turabian citation formats. It is really easy to use. Citation Machine is an interactive web tool designed to assist high school, college, and university students, their teachers, and independent researchers in their effort to respect other people's intellectual properties.The primary goal of this tool is to make it so easy for high school, college, and university students and other researchers to credit information sources, there is virtually no reason not to -- because SOMEDAY THE INFORMATION THAT SOMEONE WANTS TO USE, WILL BE YOURS. Thanks for the kind words and for sharing the presentation! Woohoo! 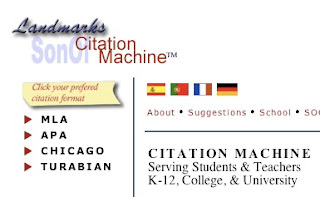 Son of Citation Machine! I use it, and I always reference it when I judge ThinkQuest websites. Some of those teams don't even know how to properly reference their sources, so I list it in a packet of brief links included in my evaluation. Slide Share is a great tool. You might want to give Mixbook.com a try to collaboratively create a photobook with your class.